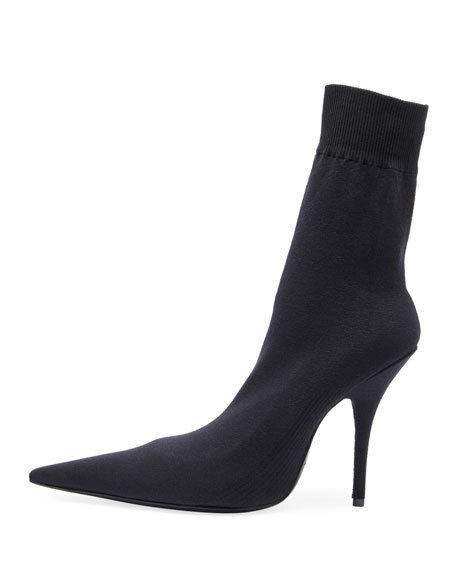 Balenciaga sport ankle boot in jersey fabric. 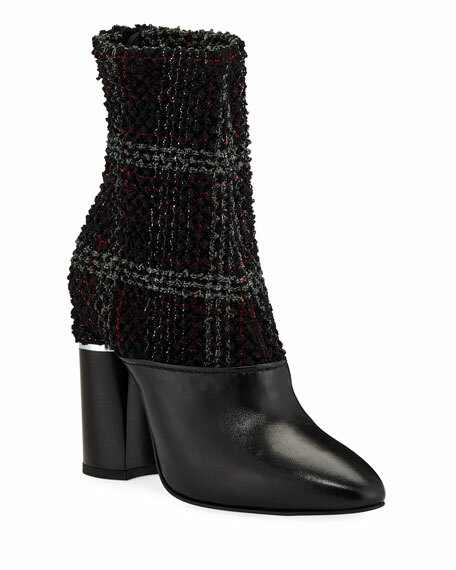 3.1 Phillip Lim ankle booties in leather and stretch plaid boucle. 4.3" stacked block heel with metal trim. Round toe. Leather lining. Back zip eases dress. Smooth outsole. Made in Italy. Aquatalia ankle booties in mixed leather and suede. 1.5" covered block heel. Pointed toe. Buckle strap at ankle. Side zip eases dress. Leather lining. Smooth outsole. "Phiona" is made in Italy. 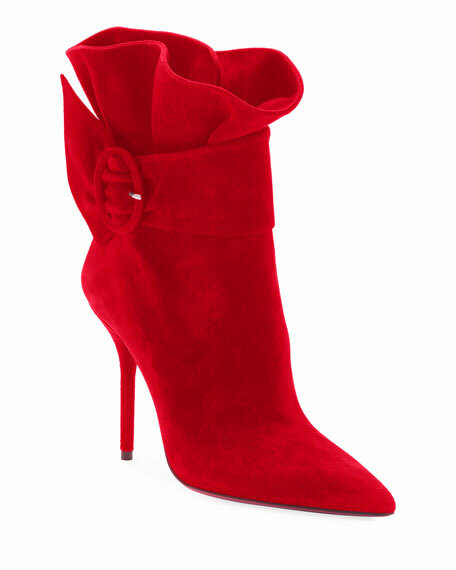 Aquazzura smooth lamb leather bootie with ruffled top collar. 4.1" covered stiletto heel. Pointed toe. Decorative buckle strap at ankle. Side zip for ease of dress. Leather lining and sole. "Palace" is made in Italy. Aquazzura soft kid suede bootie with ruffled top collar. 4.1" covered stiletto heel. Pointed toe. Decorative buckle strap at ankle. Side zip for ease of dress. Leather lining and sole. "Palace" is made in Italy.